Located in Norman, Oklahoma, the Law Office of L. Todd Nalagan is a proven resource for counsel in family law matters, debt relief through bankruptcy and criminal defense. This law firm, founded and operated solely by experienced attorney Todd Nalagan, emphasizes attentive personal service and results-focused representation in these key practice areas. Attorney Todd Nalagan has been practicing law in his home state of Oklahoma since 1998. He is licensed to practice in U.S. Federal Courts for the Western, Eastern and Northern Districts of Oklahoma as well as all state courts. Among many other professional accomplishments, he was honored as the Cleveland County Bar Association Outstanding Young Lawyer in 2004. 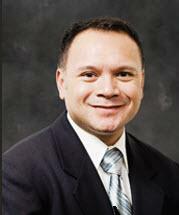 Mr. Nalagan is also an active member of the Oklahoma State Bar Association and Oklahoma County Bar Association. Leveraging a strong business and legal education as well as an exceptional work ethic, he takes pride in providing the utmost in responsive, timely legal guidance to each client facing a tough legal challenge. Since founding his own law firm in 2008, Mr. Nalagan has developed a thriving regional practice in divorce, child custody matters, Chapter 7 and 13 bankruptcy, foreclosure solutions, juvenile criminal defense, DUI representation, expungements and other select practice areas. People throughout the Oklahoma City-Norman area and surrounding counties value his approachable communication style and stellar reputation in the courts. The Law Office of L. Todd Nalagan is structured for client access and convenience. Mr. Nalagan offers free consultations and accepts credit card payments for all services. He answers calls personally and meets clients outside standard business hours when needed. To speak directly with Mr. Nalagan about your legal concerns and goals, call 405-253-4094 today.